Following encouraging performances pre-season by the shadow squad, the team has had a largely successful start to the league campaign with the notable exception of the defeat at Zebre. Unfortunately the European campaign has simply not taken off. Anyway over 40 players have featured this season(!) 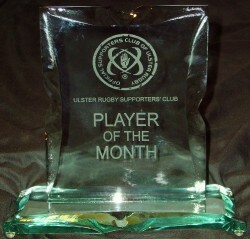 so you all have a wide choice from which to make your choice as URSC Player of the Months August/September/October.